Reminder: Always check (and click again) the Delta 1st Class Upgrade box Medallions after you “downgrade” from C+ seats! Yes please – I do want a better seat in coach! Thankfully, most of the time, Delta has given elites who are either by choice or by force “upgraded” to Comfort+ seats the option to choose a better seat somewhere else on the jet like an exit row or one with much more leg room. This can especially be important on sub-350 mile flights now that service from flight attendants on these legs can be all but nonexistent anywhere other than in the 1st class cabin. 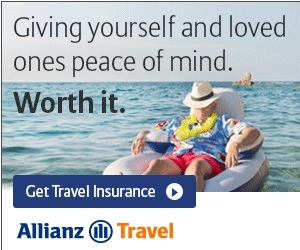 WAIT – This WAS checked before Delta.com! Yes Delta I do want a shot at a real upgrade! ← Rookie Wednesday: Is it possible to split a Delta reservation and put it into one again! Seems like so many little things that worked before without (much) issue have changed on Delta.dumb, did they get a new batch of interns in IT…but not IT interns? 🙁 Can’t download the latest flight schedule PDF anymore, either. Hey Rene!!! Do you check the “Ask Rene” area where we ask questions to you? I posted a question there this week and it does not show there and no answer either. I know you are a busy man but it would be great to have an \answer from an expert. 🙂 Tks!!! I *think*, but cannot be sure, that AA does this too. Recently purchased a 4-segment r/t, and requested upgrades on 3 legs. 2 days later I changed our MCE seats to my favorite ones on the AA 321, and when I happened to check my itinerary page afterwards all my upgrade requests were gone. Thankfully I looked and reselected. So Delta may not be alone in this little hassle. @Santastico – Answer coming (with more info why wait) this weekend. Thanks for waiting!